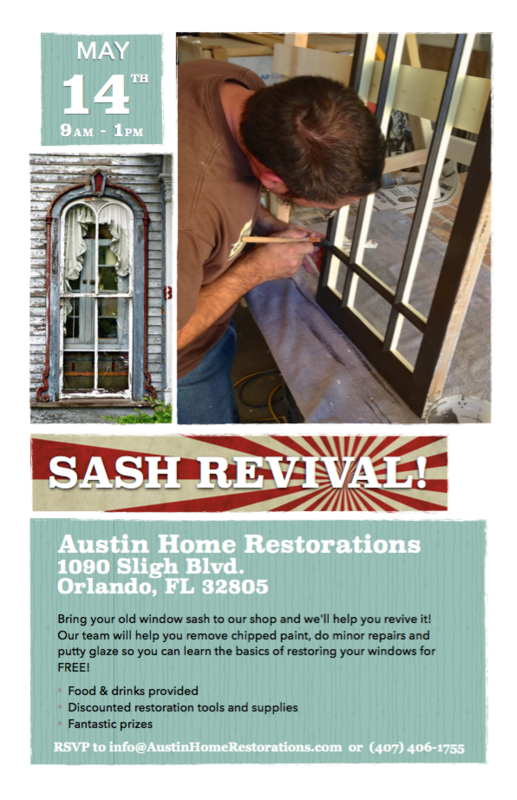 Bring your old window sash to our shop and we'll help you restore the window for FREE at our 1st annual Sash Revival! There will be food and drinks, prizes, and discounted supplies for all your historic window needs. Email us at info@AustinHomeRestorations.com or call 407-406-1755 for more info and to RSVP.